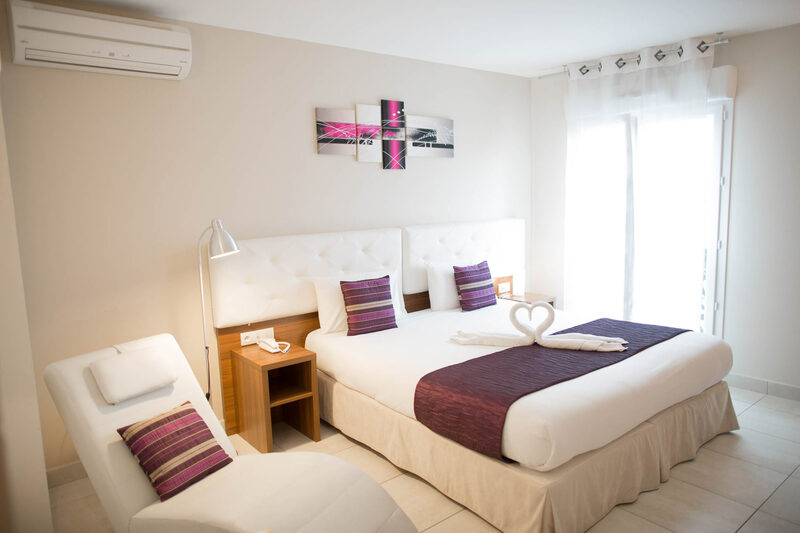 The Holidays & Work Hotel of Sanary-sur-Mer has 24 spacious, functional and tastefully decorated bedrooms. 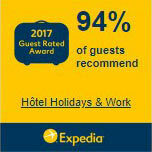 With a range of comfortable rooms, worthy of a Business class, the hotel has particularly cured its bedding, offering its guests a much appreciated quality of sleep in quiet and relaxing accommodations. 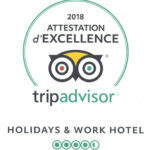 In a beautiful Provencal setting, just a stone’s throw from the typical and lively port, the friendly and attentive team of the Hotel H&W warmly welcomes you and offers a quality service for an optimal comfort. With a surface of 15 m2, the Classic Room accommodates 2 people with its comfortable queen size bed 160 x 200 cm, walk-in shower and other contemporary amenities. With its queen size bed, the Superior room is the perfect compromise between relaxation and work. With the business equipment (WiFi, office space, safe and mini fridge), the room overlooks a private balcony in perfect privacy to relax. 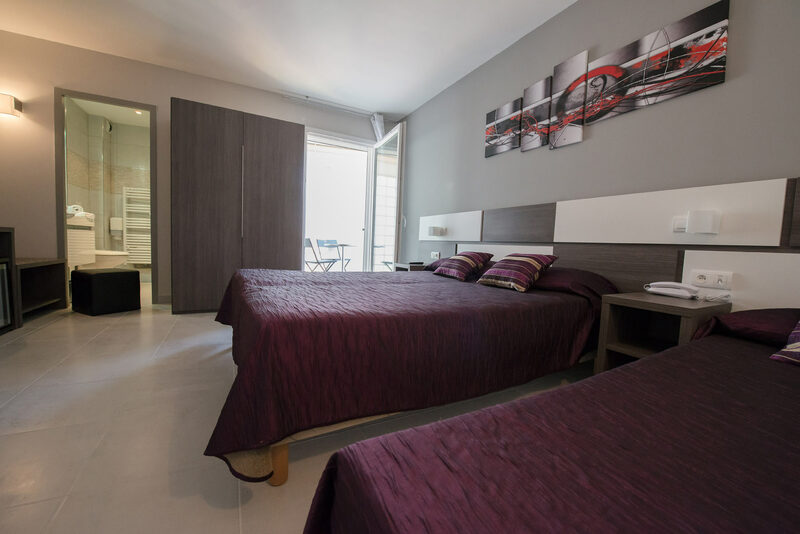 These spacious rooms of 25 m2 offer all the modern comforts of a luxury hotel. Adapted to disabled people, the bathroom is quite large with a huge walk-in shower. Spacious and comfortable, the Family Triple rooms have bedding for 3 people with functional bathroom equipped with a bath and a private loggia. 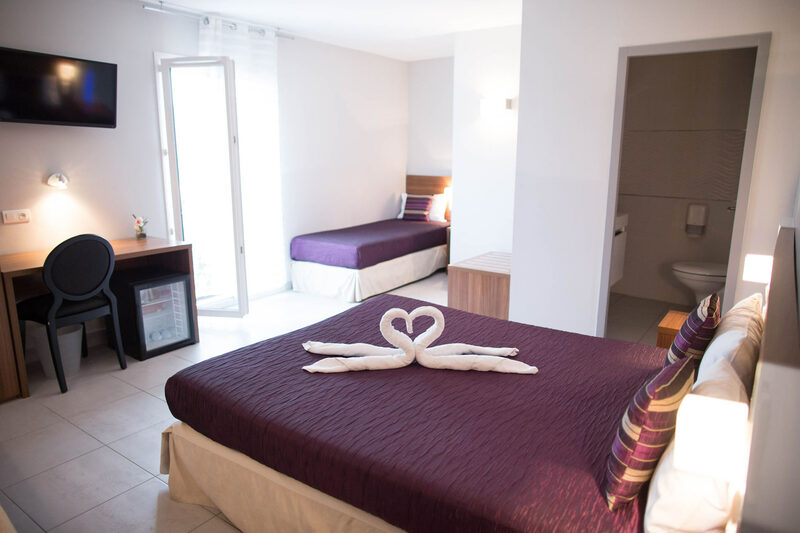 With 24 m2 of space, Family quadruple rooms offer quality bedding for 4 people as well as modern amenities for adults and children.